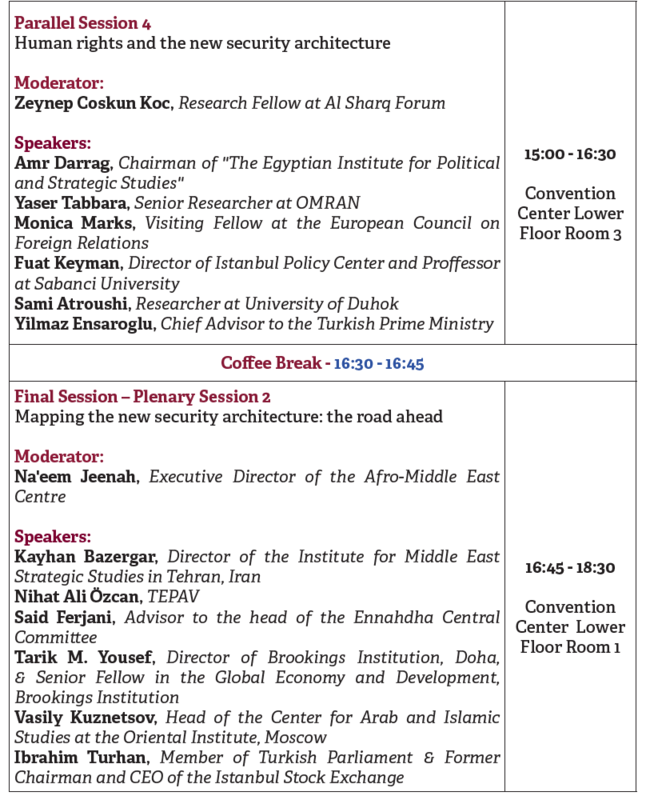 On 18 and 19 March the Afro-Middle East Centre convened a conference in Istanbul, together with the Istanbul-based AlSharq Forum, with the theme ‘Towards a New Security Architecture for the MENA Region’. 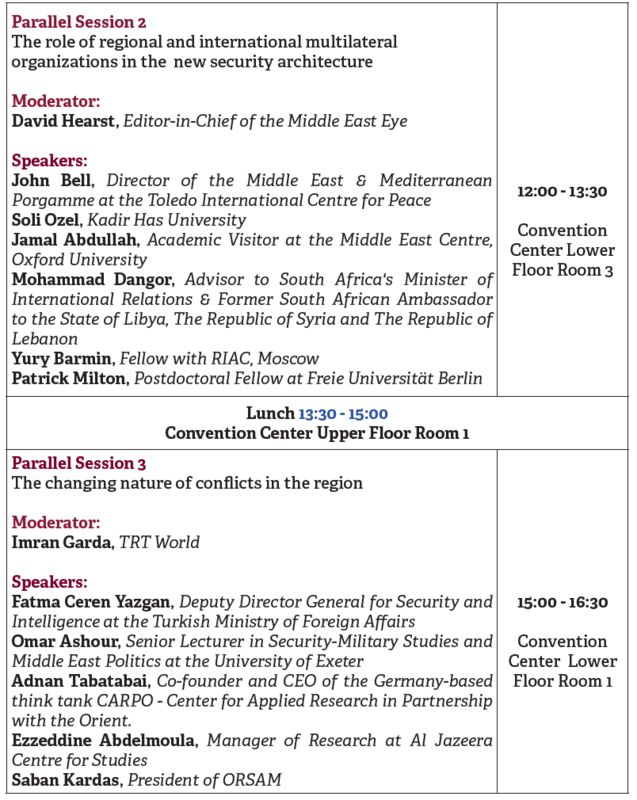 The conference brought together political roleplayers, academics, diplomats, journalists and members of the public from various parts of the world to deliberate on the theme. The conference was structured so that the first day consisted of two closed roundtable discussions, and the second day was a public event with two plenaries and two sets of parallel discussions. 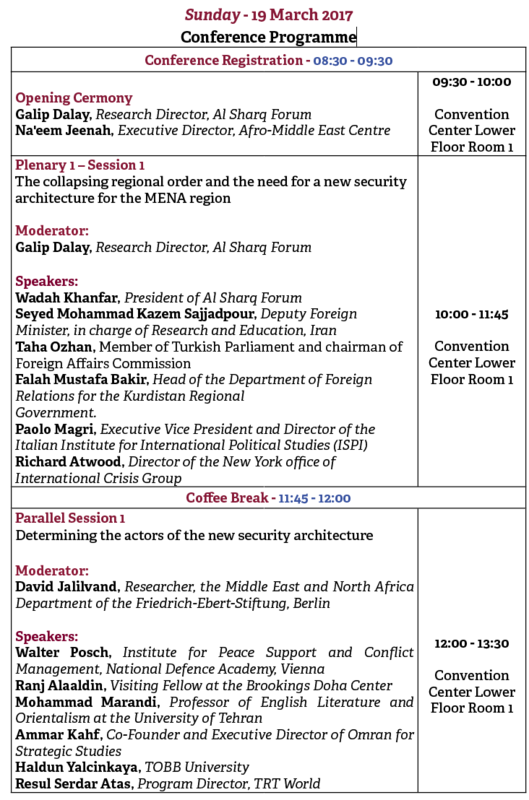 Reports from the two roundtable discussions – ‘The role of regional powers, institutions and actors in a new security architecture for the MENA region’ and ‘The role of international powers and institutions in a new security infrastructure’ are available for downloading. The collapse of regional order has made the security failures of the Middle East region ever more apparent. State failures, violent extremism, the emergence of militia groups as prevalent regional forces, chemical warfare, and the arms race are among the security problems, which call for the development of a new security architecture for the MENA region. The phenomenon of the failed state as witnessed in Syria, Iraq, Yemen and Libya triggered the rise of violent extremism and militia forces as new security apparatuses in the region. The legitimacy concerns surrounding non-state actors, given their prevalent terrorist actions across the region, make determining legitimate actors of the new security architecture even harder. The long-standing crises the region has been suffering seem to have created support for autocratic regimes and whether the foreign powers favoured these regimes is an issue that should be discussed. In efforts to map the road ahead for establishing the new security architecture, the role of international powers is of paramount importance especially in the issue of implementing economic and political cooperation. Additionally, the regional leadership is needed in consolidating counter-terrorism efforts without resorting to proxies to end sectarian divisions in framing this new structure.